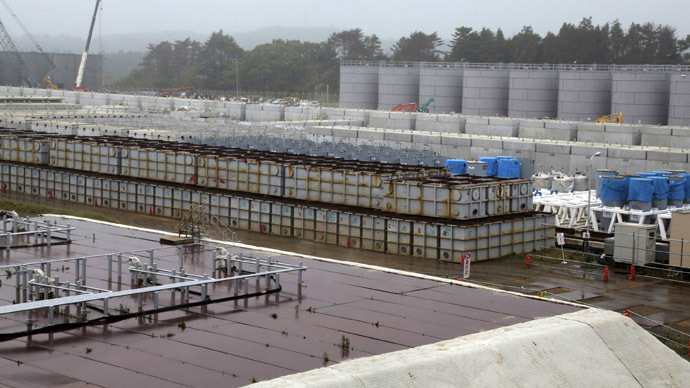 A new hotspot of radiation has been detected in groundwater from an observation well next to one of the leaking tanks at Japan’s Fukushima nuclear plant, the operator of the facility announced. 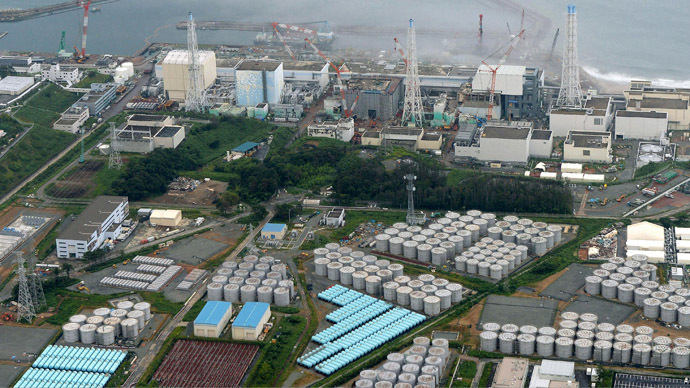 Some 3,200 becquerels per liter of radioactive substances were recorded in a well next to a faulty water storage tank, Kyodo News Agency reported, citing Tokyo Electric Power Co. (TEPCO)’s Sunday readings. 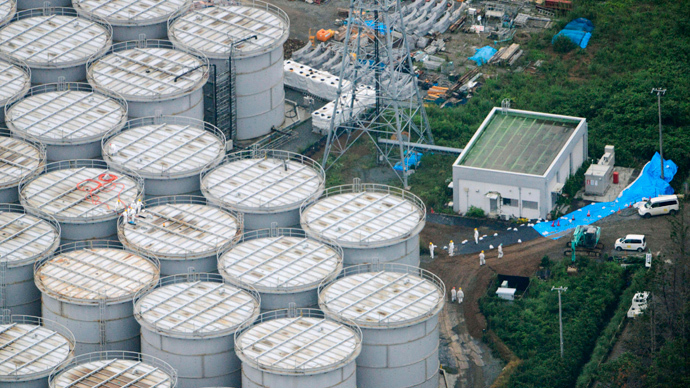 The probe revealed that strontium and other malicious beta rays were discovered in the groundwater 20 meters north of the tank, which is located in the H4 area. According to TEPCO, this indicates that radioactive water from leaking tanks mixed with groundwater in the area. 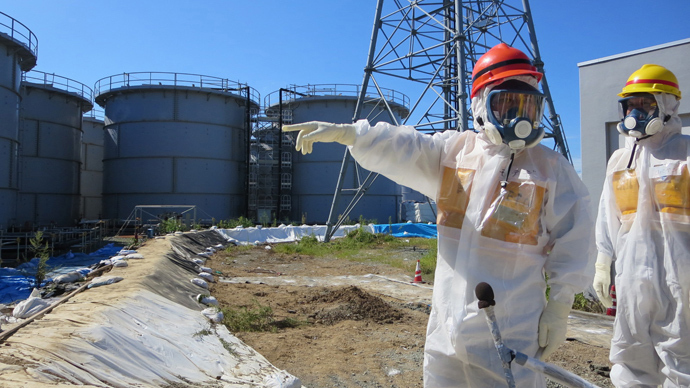 Last week, the company announced the discovery of 650 becquerels per liter of radioactive waste in another well, located about 20 meters south of the storage tank. On Monday, the Japanese government urged the operator to propose a plan of action by next month designed to remove contaminated water to safer tanks. The plan is to replace 300 of approximately 1,000 tanks present on the site which store 400 tons of contaminated water daily. 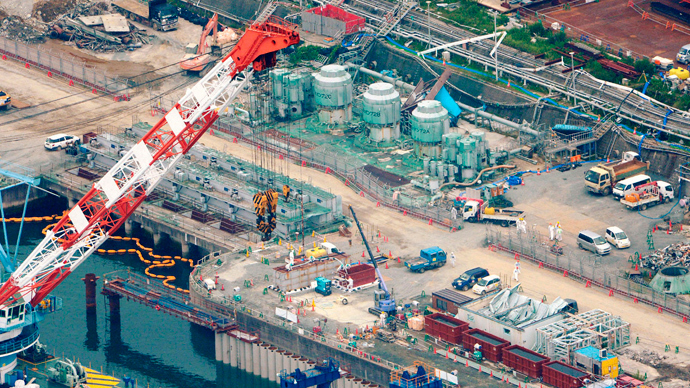 According to Japanese industry minister Toshimitsu Motegi, the leaks have affected an area of 0.3 square kilometers within the bay around the plant, Jiji Press reported. The minister added that removing polluted water is the most urgent task for Japan. The UN’s nuclear watchdog also voiced concerns on Monday about the situation at the Fukushima-1 plant. Director General of the International Atomic Energy Agency (IAEA), Yukiya Amano, said the leakage is "a matter of high priority that needs to be addressed urgently,” promising to send an international mission to help the situation. The Japanese government announced last week a plan to create a wall of ice under the plant to stop drainage of contaminated water by the end of March 2015. 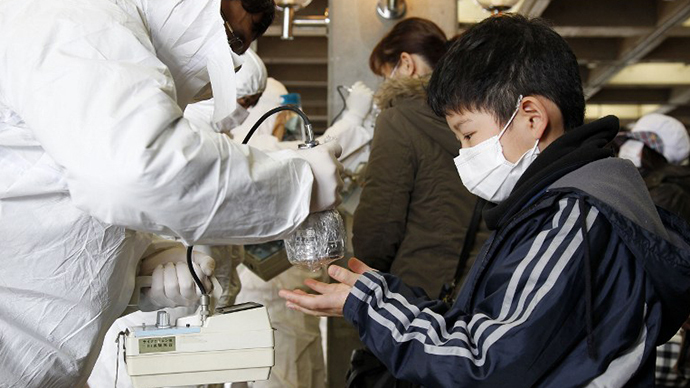 Meanwhile, TEPCO wants to pump the water out of the wells before it reaches the Pacific Ocean. But the measures taken by the government have not been received well by the public. A survey conducted by Asahi Shimbun newspaper revealed on Monday that 72 percent of those surveyed considered the government's response to be “late" and the situation on the ground to be "very serious." Eighty-nine percent said that the government - not TEPCO - should take charge of the situation.